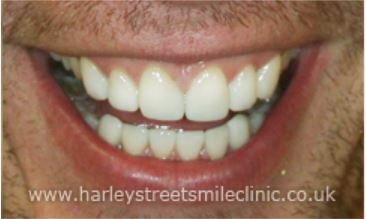 Teeth Straightening – London residents and those from the surrounding areas can opt for braces or aligners to gradually move their teeth into a more attractive and physically comfortable position. 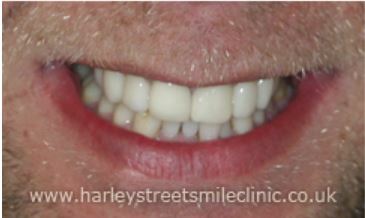 Whether by tightening the braces month on month to guide the teeth or by replacing the aligners every few weeks, this is the way to achieve the best result naturally. 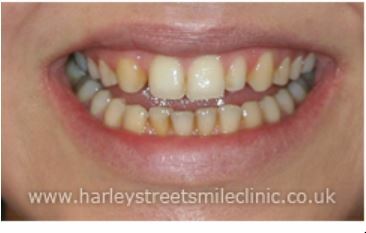 Tooth Contouring – If you’re unhappy with the shape or length of certain teeth, Harley St Smile offers exceptionally accurate laser tooth contouring, meaning your teeth can be reshaped in a matter of minutes to be more even and symmetrical. Gum Contouring – The same can be achieved with your gums! 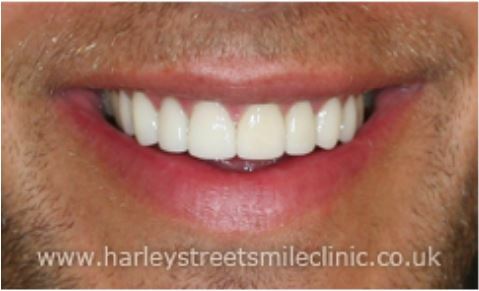 If you feel that there is an imbalance between the visible size of your teeth and the gumline above or below them, the specialists at Harley St Smile can work to reduce your gum tissue either using a highly accurate laser or expertly performed surgical procedure. 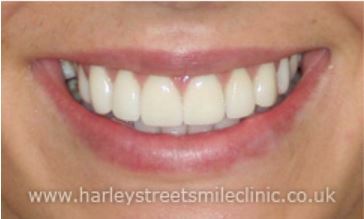 Porcelain Veneers – London is also the place to be if you would like a new set of dental veneers. 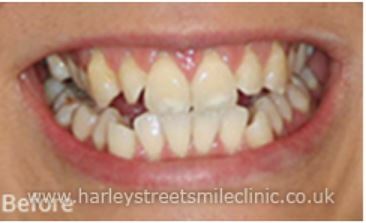 These are, simply put, thin but sturdy shells of ceramic material affixed to the front surface of each tooth. 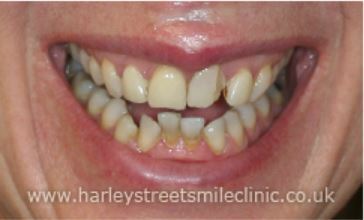 They can hide discolouration or adjust misshapen, crooked, leaning, gappy or chipped teeth. 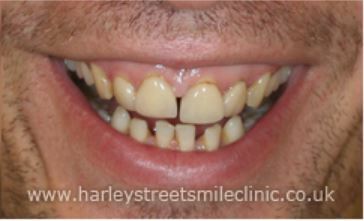 Bridges and Crowns – Bridges and crowns work in different ways to “rebuild” a tooth that has been badly broken or worn down. 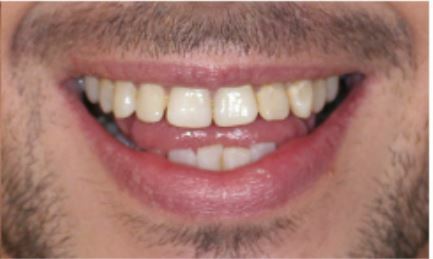 For a bridge, a tooth on either side of the one that is to be treated is used as part of an “anchoring” system, which then holds the new tooth – again, usually made of ceramic material – in place between them. 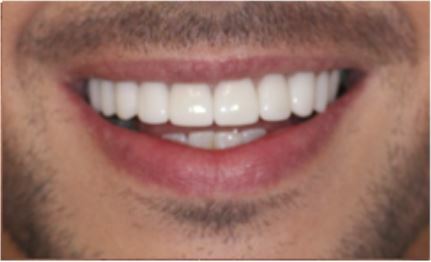 A crown is similar, but the new ceramic “cap” is fitted directly to the remainder of the natural tooth. 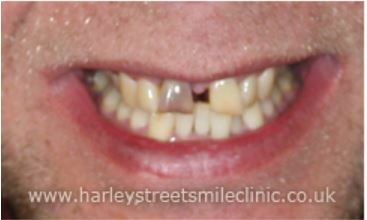 Implants – If one or more of your teeth are completely missing, the experts at Harley St Smile can fashion you a brand new one, usually from porcelain, with a titanium root which is fused to the bone of your jaw. This is known as an implant. 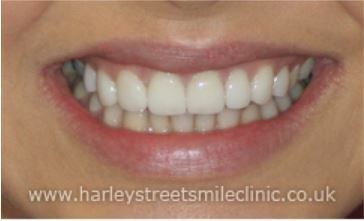 Tooth Whitening – Of course, one of the most popular treatments Harley St Smile offers is whitening. 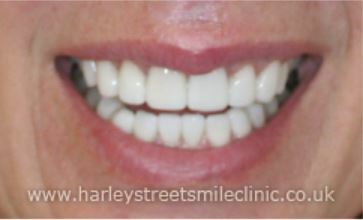 You can undergo it in-house or use a recommended at home whitening system provided by our practitioners. 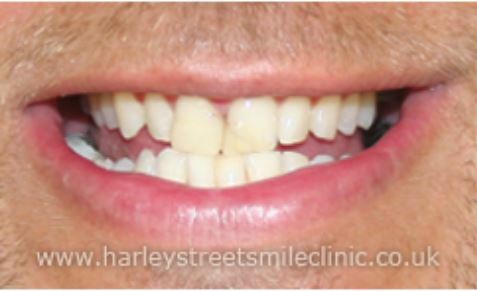 If you’re interested in the options that Harley St Smile has to offer, simply call us today on 020 7486 6777 and our friendly team will be happy to help.